Vincent is a consummate practitioner with core expertise in effective dispute resolution practice and he heads the Firm’s Dispute Resolution Services. Though experienced in Nigeria’s trial and appellate courts, clients have found him of immense value in advising on dispute prevention, management and resolution on sometimes highly complex and knotty legal issues. He has an uncanny aptitude for demystifying complex legal issues towards proffering unique solutions to clients’ needs. Vincent is an assiduous, highly determined and astute lawyer; endowed with a creative mind and unique flexibility which attributes saw him rise from trainee associate to Partner in Aina Blankson LP. 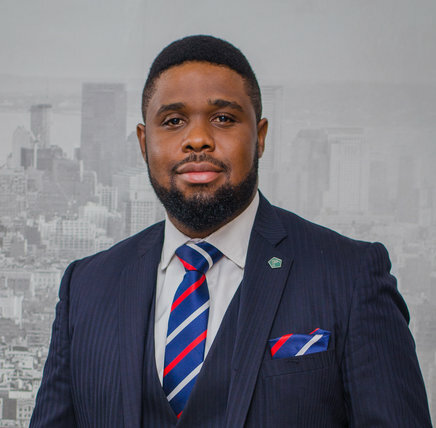 Vincent is a CEDR Mediator, an active member of the Chartered Institute of Arbitrators (U.K.) Nigeria branch and serves as an executive member of the Institutes’ Young Members Group. He is also a member of the Nigerian Bar Association.